To keep your car looking as good as new and help maintain its value, one of the main areas to concentrate your time and effort on is the exterior. This is not only the first thing a potential buyer will notice, but if kept in good condition, could also extend the lifetime of the vehicle. Obviously we are now heading into the colder Winter months, and with the inevitable road-gritting that goes hand in hand with this time of year, it is very important to make sure you keep your car’s paintwork spotless. If left for an extended period of time, the salt from the roads can lead to alloy wheel corrosion and rust spots appearing on your car’s bodywork – something we all want to avoid! As well as the road-gritters, other elements such as bird droppings, tree sap, bugs and re-surfacing works, could also cause damage to your car’s paintwork. The key to keeping your car’s exterior in tip top condition really couldn’t be simpler; wash it regularly, wax it often and make sure any paintwork scuffs and scratches are repaired as soon as they occur. 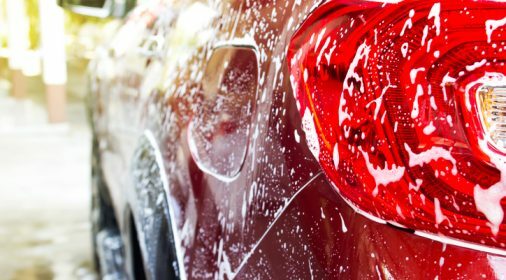 When washing your car, make sure you use products designed for the purpose to avoid any potentially costly mishaps! 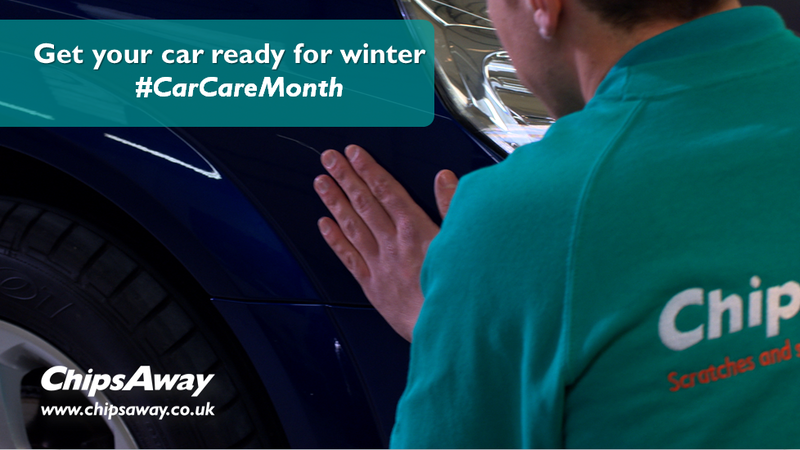 Next week we’ve got tips on maintaining your tyres – don’t forget to follow us on Twitter and like us on Facebook to find out what we recommend! 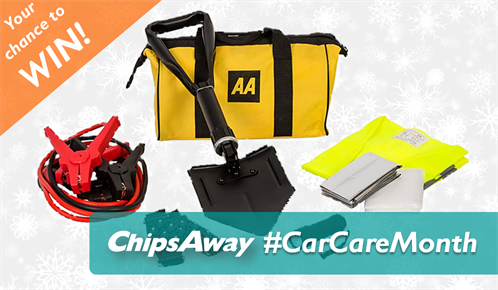 To launch our campaign, we are offering three lucky people the chance to win the ultimate Winter Car Care Kit! 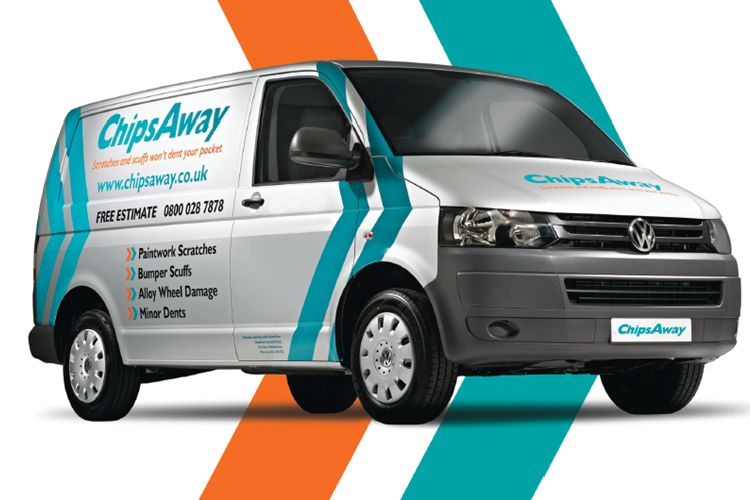 All you need to do is request a free no obligation estimate for a ChipsAway repair* throughout the month of November to automatically be entered into the competition. You have until the 27th November to apply and the winners will be announced on Monday 1st December. Good Luck! *Competition ends midnight on the 27th November 2014. The three winners will be drawn at random and notified by email on Monday 1st December 2014. Kits must be redeemed by Monday 22nd December 2014 otherwise prize will be forfeited.